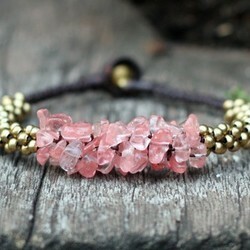 Cherry-Quartz can absorb, store, release, and regulate your life energies. It will promote a healthy balance that will keep you centered and grounded. 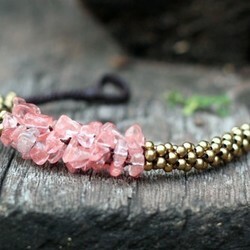 Cherry Quartz is also a charger stone that will restore the energy and rhythm of your life. It will reset your physical and energetic bodies and restore the balance which you have lost. This stone will also promote action and drive in your life. It will encourage activity and energy to keep your life’s vibrations high.